“So according to you, you are looking after the Taj very well and nothing has to be done..you are not ready to accept that there is a problem”, Justice Madan B Lokur asked ASI’s lawyer A D N Rao. 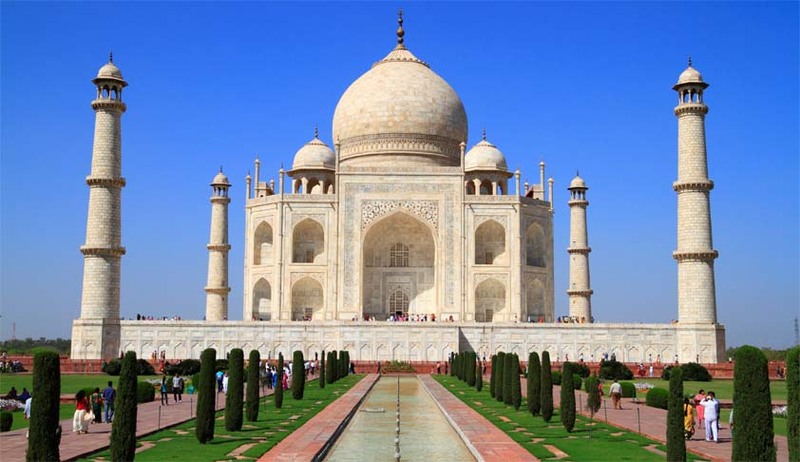 The Supreme Court today slammed the Archaeological Survey of India for not giving convincing answers as to why the monument of love, the iconic Taj Mahal was fast losing its marble colour. This was when he first said that the green patches on the Taj’s surface were formed by insects which invaded from the stagnant waters of adjacent Yamuna river and then later said it was caused by flying algae. Appearing for the Centre, Additional Solicitor General Tushar Mehta said such a stand on the part of ASI is wrong and first we have to accept the fact that there is a problem with the Taj. “ You cannot keep him away. Taj Mahal does not belong to him..remember he is fighting for a cause. You have a huge resource in the form of M C Mehta. There has to be constant dialogue with him. If you have genuine experts they will know his value. This is not an adversarial petition”. “If the situation required and you are unable to get to the root of it, you can even bring experts from outside the country”, the bench said on May 1..
"We don't know whether you have or perhaps don't have the expertise. Even if you have the expertise, you are not utilizing it. Or perhaps you don't care," it said. The comments came after the bench went through photographs submitted by petitioner environmentalist MC Mehta. The environmentalist had sought protection of the Taj from the ill-effects of polluting gases and deforestation in and around the area. After Nadkarni said the management and protection of the monument was being done by the Archaeological Survey of India, the bench fixed matter for further hearing on today. On December 9 the bench had said We want a broad and inclusive document with a futuristic vision to protect the Taj Mahal as informal and temporary measures are not enough for a few hundred years. The judges said: “The steps proposed are not enough. The state should come out of its bureaucratic approach and explore a long-term steps. A larger and broader perspective of the entire scenario should be taken into account by the state government and the stakeholders should sit together and come out with ways on how to preserve and protect the monument for the future generations”. “We also feel that civil society including experts from different fields should be involved in devising a strategy in this direction”, the bench said. Experts including those concerned with cultural heritage, historical heritage, environment and wildlife must take part in it. "They will consult not only officials but also persons from the civil society including the petitioner MC Mehta, who has spent more than 33 years in making efforts to protect the Taj and its environs", the bench said.